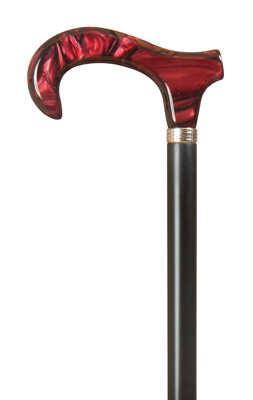 Smart and stylish cane. Garnet handle in a contemporary derby design mounted on a black beech hardwood shaft. Finished with metal collar and base rubber ferrule.